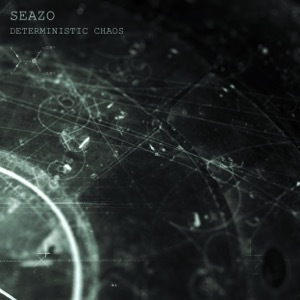 Comment: the Norwegian Seazo's album Deterministic Chaos consisting of 12 tracks is based on an intriguing idea to mix up electronic rhythms and wide ambient plateaus with noises, electronic effects, and hisses. I guess such a perspective might frighten an average listener because the word "noise" is mostly associated with harsh sounds, inarticulate compositions and disoriented feelings. Since My Bloody Valentine's Loveless and later Tim Hecker showed up that noise elements in music could highly be sensual/sexual and even majestic, respectively. In fact, the same facts are repeated by Seazo either though doing it in his own way. Indeed, as I alleged earlier the artist's interface of the aforementioned stylistic elements makes difference. One could enjoy enchantingly spacey electronic progressions at Bipolaris; the same could be said about Red Cumulonimbus – it is hardly believable that ambient music and adjacent elements of it can sound so freshly and full of life. Day Drumming is as fabulous as the previously mentioned piece though drawing on the atmospheric breakbeat/drum and bass sequence. In truth, it is an instance of dream and bass rather than drum and bass. Crying Forest Spirits deserves its name because all those noises and rhythmic elements seem to be animated to puncture one's soul and heart. The rest of the album provides no fillers preserving its exquisite quality and playful expression. For instance, Drunk Clown could freely be a characterization of Krusty The Clown in respect to those twisted, highly playful electro vibes. All in all, this outing must be heard. This is bigger than life. Your life. One of the best albums in 2016.